Canary Wharf’s new district, Wood Wharf, has been designed to provide a new residential led, mixed use, waterside community defined by the quality of its public spaces, the diversity of its land uses and activities, and its exemplary architecture. Providing over 3,300 new homes, nearly 2 million sq ft of high quality commercial office space, and a further 490,000 sq ft of shops, restaurants and community uses. 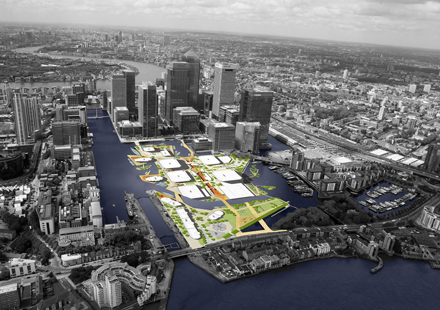 The development will broaden and extend the Canary Wharf Estate, adding to its vibrancy and continually expanding its cultural, community and commercial aspects. The site represents one of central Londons’ largest privately owned development sites extending to 23 acres and is recognized as being of major importance on a local, national and international level.